So you got a Rent a car in Cuba? For those of you who rent a car in Cuba this summer there are a few things you should be aware of when driving around this precious island. Taking advantage of your rent a car in Cuba might mean traveling from say, Havana to Santiago de Cuba and, spending some time at Cuba Hotels or Casa Particulares along the way. First of all, be aware that police fines in Cuba are not sent to your home or to the address on your driving license, they are written on the back of the rental contract and payable when you return the car. In effect, the rental office is the police fine collector…novel eh? Ensure that your tires are correctly inflated at all times. If necessary check these every few days or more than you would back home. Why? Well, Cuban roads can be hot enough to fry an egg (literally) and this can place excessive stress on these little rubber contact patches we call tires. When they heat up and lose temperature they can force air from the tire and thus, even though no puncture is present, the tires can deflate daily. 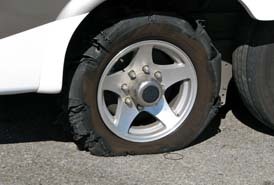 A deflated tire will create more friction (heat) which, added to the already sweltering roads can make your tires literally decompose and cause blow outs. Therefore, the best way to obvert this is, keep your tires checked and inflated to the right pressure. Check that your spare tire, jack and tire tools are present. DO NOT take their word for it. 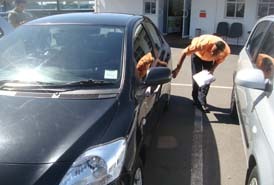 Check around the car and mark every single (even tiny) scratch on the car images shown on the contract. If the car has plastic wheel covers, ensure all 4 are present and properly secured. When you collect the rent a car in Cuba check the fuel gauge and that it is right up against the needle. If it is not and you are being charged for a Full tank and expected to bring it back empty (common in Cuba) you may be missing up to $20 o $30 in fuel. The insurance on car rental in Cuba since 2010 is fully comprehensive CDW (Collison damage waiver) compliant. Therefore, your rent a car in Cuba no longer has the awkward Cuban Insurance A and B from previous years. This makes your life easier because you are not responsible for any damage of theft of parts from the vehicle providing a proper police report is made. For those who have chosen to rent a car in Cuba and are driving to their Cayo Coco Cuba accommodations, you will have to pay a small fee to cross, and you might expect to have your car looked over to make sure you are not bringing in anyone otherwise not permitted to cross. As a result of all this, you will not experience as much pressure from locals trying to lead you to a certain paladares or to one of the hostels in Cayo Coco, for example. There’s no escaping the long, tiresome drive via the autopista to reach Cienfuegos. Get an early start. At Jagüey Grande turn south for Peninsula de Zapata, stopping for lunch at Restaurante Colibrí, at La Boca. Fill up on fuel here and tour the crocodile farm before continuing to Playa Girón, site of the Bay of Pigs landing. The Museo Playa Girón will excite military and history experts. 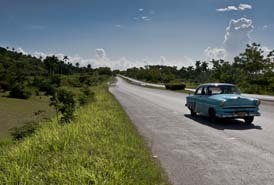 Most important thing when driving your rent a car in Cuba is traffic is extremely scarce, in places almost nonexistent. Main roads (“carretera central” and other roads connecting cities) are OK. Asphalt is in good condition without many potholes. The road signs do exist (speed limits and directions) but you have to pay attention not to miss them since there would be usually only one. Split or Divided highways (“autopista”) are simply 3 lanes wide main roads with separated directions of traffic. Only grass (no barrier) between directions, no fences to keep animals off the road, no restrictions on type of traffic. Road signs also only one before or at the exit. Less important roads and local roads are not very good but I´ve seen worse in Kansas, there are some potholes, but keeping that in mind, definitely drivable. Usually no road signs except village and town names, mostly very faded. All roads are wide by European/North American standards (i.e. 6m/19Ft or more) except few minor dead-end roads leading to a farm or similar. I guess that by American or Canadian standards these roads can appear quite narrow. As most of the rent a car in Cuba are small anyway and most are European size vehicles, then the roads seem to match the cars! 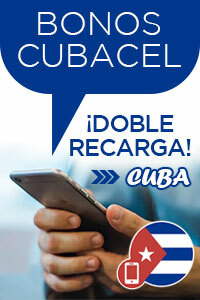 So, what does this mean to you and your Cuba Car Rental? Firstly, if you intend to book Cuba Car Rental for July and August then try to do this before the June 15th deadline. After this deadline you will be unable to book or receive confirmations from ANY RESELLER and you will have to organize your booking directly with the Cuban car rental companies. The official websites of CubaCAR , Havanautos and REX Car Rental will continue to accept bookings on a first come first served basis. What if I wait and organize my Cuba Car Rental when I arrive at a rental desk? If you are one of life’s extremely lucky people or an adrenaline Junky ( Cuba has lots of these 🙂 you may wish to take the risk. 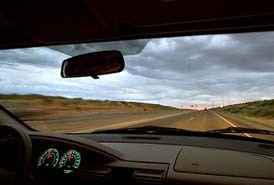 Most probably, you will need to travel far and wide and waste a big chunk of your first days locating a car which is available. 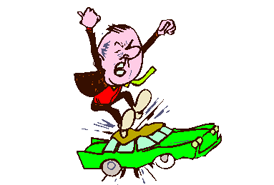 Invariably, your constant luck may just run out… If you do find a car, be aware that Cuban car rental companies operate what is called “extreme high season” rates for clients who have not pre-booked. These shocking rates are often 30-50% more than online rates at their official websites but, if you can´t get a pre-confirmation then what choice do you have? A third party agency has confirmed my Cuba Car Rental but I cannot get them to send the voucher or official confirmation…. Several known agencies based in Cuba sell cars they don´t have or have not received confirmation for hoping that somehow they will get a cancellation or something…They never send the official voucher and try and win time. Our section on Cuba Car Rental scams & rip-offs provides links to client complaints concerning these agencies. While many have closed down, gone out of business or been shut down by the Cubans, sadly…some still remain… If you feel you may be a victim of one of these agencies then send us the details below and we´ll do our best to investigate. Can I get discounts on Cuba Car Rental if I book before the June 15th deadline? 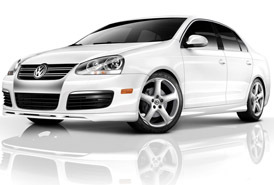 What types of cars are available for Cuba Car Rental this summer? Here´s a link to one of our earlier blog posts that shows the current fleet of cars. If your Cuba Car Rental needs a Jeep, Minivan and Van then you really should be bookings this immediately on one of the official websites mentioned above because they are very, very difficult to get. If any of you have some information that will help our readers get Cuba Car Rental easier then please drop us a message below. 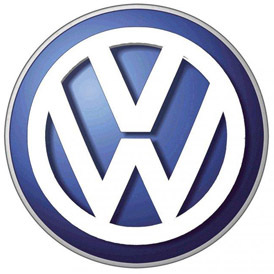 We are told through one of our MINTUR sources Cuba is considering a large order of Volkswagen cars. Persons close to the deal say that Cuba is looking at replacing the problematic Geely vehicles from China with Vehicles from the Wolfsburg based German manufacturer. Apparently negotiations are pretty advanced and include the following vehicles which will initially appear in Havana and then be rolled out to car rental offices in Varadero, Cayo Coco, Holguin, Playa Pesquero, Santiago De Cuba and Pinar Del Rio. 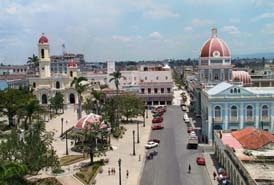 Cienfuegos and Villa Clara will receive the best of the older fleet until June 2013. In the past Cuba had a small fleet of just three Audi A4 Cabriolets offered by REX Car Rental. More recently, a small purchase brought the Peugeot 307 CC Cabrio to Cuban roads but with mixed reviews by CUBACAR who operated the vehicles. 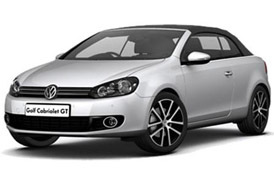 Bringing the venerable Golf (rabbit in the US) in its Cabriolet version should provide for a more reliable vehicle. Those with a keen eye for cars will have seen the Volkswagen Passat in Cuba in various shades of metallic paint and one white version. However, this latest 2012 model comes standard with Leather upholstery, zoned climate control, cruise control and 19 inch wheels. This will presumably replace the veteran (and tired) Audi A4´s and (hopefully) the disastrous Chinese Emgrand vehicles being offered as medium high models much to the chagrin of customers. This is by far the most awaited model for Cuba´s rental car fleet. It offers the 4×4 SUV prowesses of the Touareg but in a slightly smaller package. 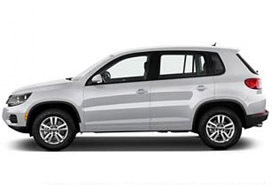 It seats 7 people so will probably replace the current Hyundai Santa Fe Cuba models and some of the older (very old…) Suzuki Vitaras and Grand Vitara´s in the VIA Car Rental Fleet with the Volkswagen Tiguan. Cuban Americans from Miami and the USA are also being looked after apparently because Havanautos & REX will be the sole suppliers of the automatic Passat, Touran and Tiguan models available in Cuba. These cars will come with Volkswagens new 7 speed automatic!! If any of our readers have some breaking news on new car rental purchases in Cuba please let us know either below or confidentially. The news this month is an “across the board 20% discount” on Cuba car rental for rentals starting on or before the 30th of July. 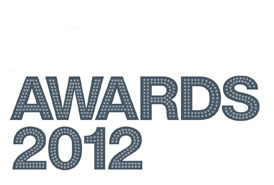 Essentially all categories and models receive the 20% discount code. 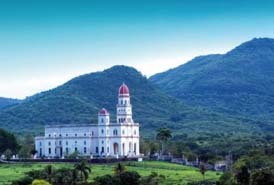 The incredible offer being rolled out by the three major operators allows Cuba car rental online bookings with an amazing 20% off between 25 April 2012 and July 31st. Furthermore, rentals which begin in the discount period and end later (presumably August) will have the remaining days discounted by 10%. This is the first time we´ve seen an across the board discount scheme for online sales for Cuba car rental. As far as we can gather the objective is that bookings be made directly with the Cuban suppliers on their approved websites because, several agents have told us that no such discount exists from them. Therefore, if you are planning a Cuba car rental this season you should book ASAP as we do not know how long the code will remain active. Visit the following official websites and make your bookings. Download here the explanation of the discount program and how to access this. A blow was dealt to Havana Car Rental this week. After months of waiting for the new REX vehicles to be added to availability, this week those looking at Havana Car Rental for the summer months were advised that no vehicles had been allocated to REX for the summer. This means that unless bookings for Havana Car Rental are made directly on the REX Cuba website then, basically, all agents will be unable to confirm. This has been a big blow for Havana Car Rental affiliates and agents who were hoping that the increased tourism numbers to Cuba over the first months of the year due to the Pope´s visit to Cuba would continue for the rest of the year. 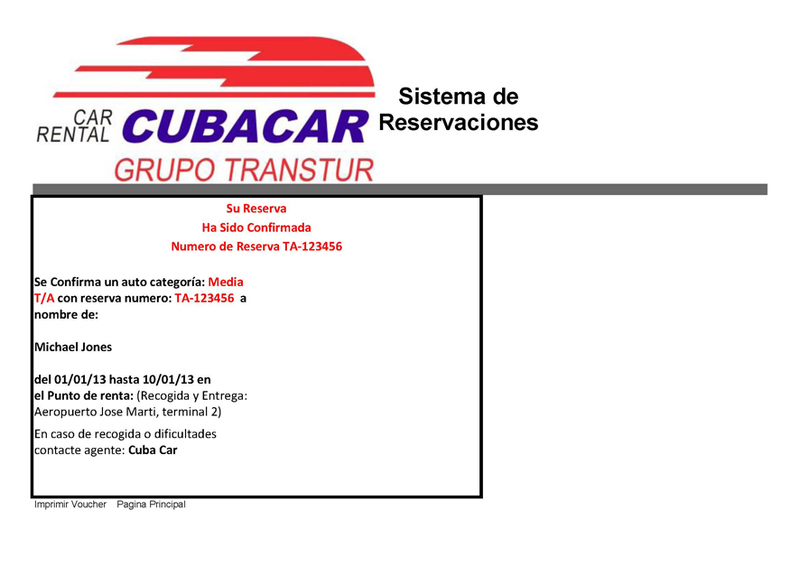 However, pushing Rex to one side, CubaCar confirms that they can still confirm Havana Car Rental right up to August 31st but, the numbers of available vehicles are running our fast. 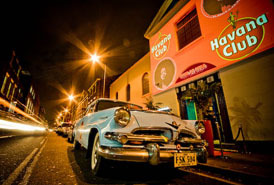 Havanautos, the capitals namesake for Havana Car Rental, confirm the availability of new 7 and 9 passenger Vans and Minivans in Cuba & Havana, Varadero, Santiago de Cuba, Holguin and Cayo Coco. We can also confirm the arrival of a new fleet of Peugeot 208 vehicles from Via at their Havana Car Rental offices. These new vehicles come in both Automatic and Stick shift (manual) variants. TIP: Visit the VIA booking site and book a 206 and you will get a 208! Therefore, the low down for bookings for Havana Car Rental from CubaCAR, REX, Havanautos and Via is that REX Car Rental has very limited availability for July and August so, if your are looking for an Audi A4 or Audi A6 in Cuba or, a BMW 5 Series in Cuba we recommend booking quickly for these extreme high seasons months at the REX website. Hotel Deauville | Galeano e/ Malecón y San Laz. Palacio de la Artesanía | Cuba y Peña Pobre. Via Car Rental | Havana Airport Terminal III	Ave. Van Troy e/ Final y Carretera Aeropuerto, Boyeros, Ciudad Habana. Via Car Rental | Havana Airport Terminal III-A	Ave. Van Troy e/ Final y Carretera Aeropuerto, Boyeros, Ciudad Habana. Via Car Rental | Havana Airport Terminal II	Ave. Van Troy y Final, Boyeros, Ciudad Habana. Via Car Rental | Hotel Saratoga	Paseo del Prado No. 603 esquina a Dragones, La Habana Vieja, Ciudad Habana. Via Car Rental | Hotel Sevilla	Calle Prado e/ Trocadero y Animas, Habana Vieja, Ciudad Habana. Via Car Rental | Centro de negocios AUSA	Desamparados No. 166 entre Habana y Compostela, Habana Vieja. Via Car Rental | Hotel Tryp Habana Libre Calle L e/ 23 y 25, Vedado, Plaza de la Revolución, Ciudad Habana. Via Car Rental | Aparthotel Las Terrazas	Ave. las Terrazas e/ 10 y Rotonda, Santa María del Mar, Hab. del Este, Ciudad Habana. 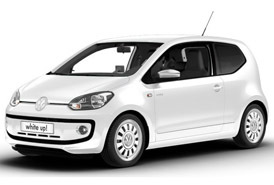 Via Car Rental | Punto 47	Calle 47 e/ 36 y 41, Kohly, Playa, Ciudad Habana. Via Car Rental | Hotel Kohly	Ave. 49 Esq. 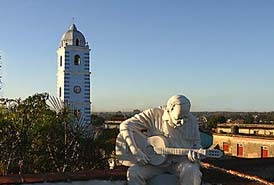 36 A, Kohly, Playa, Ciudad Habana. Via Car Rental | Hotel El Bosque	Ave. 49-C Esq. 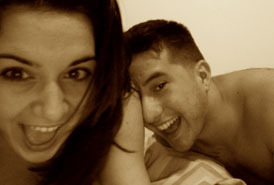 28, Kohly, Playa, Ciudad Habana. Via Car Rental | Hotel Occidental Miramar 5ta Ave. e/ 70 y 72, Miramar, Playa, Ciudad Habana. Via Car Rental | Hotel Oasis Panorama	Ave. 1ra Esq. 70, Miramar, Playa, Ciudad Habana. Via Car Rental | Santa Cruz	Carretera a Jaruco Km 2, Jardines de Hershy, Santa Cruz del Norte, Provincia La Habana. Some deals have been offered until July 31st and at least 3 regulars to this website have received discounts of 10% over the past weeks after booking Havana Car Rental. Since our 2011 Cuba car rental reviews we thought we´d update the information based upon the arrival of some new vehicles in Cuba in January and also the upcoming Easter Car Rental Season in Cuba. 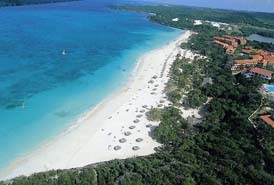 We´ll move to VIA rent a car, since our last Cuba car rental reviews several people have complained about VIA car rentals. After verifying their complaints and of course with VIA, it appears that the problems did not stem from VIA but from several Canadian resellers of VIA´s services. 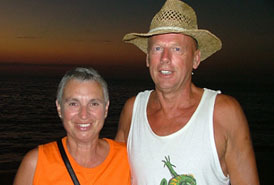 One “real” complaint was due to one of VIA´s vehicles collected at the Jose Marti Airport in Havana which, upon collection, had a myriad of technical problems (thanks Mr & Mrs Wright from Ontario). You may wish to try VIA for 4 x 4 rentals in Cuba they still offer the Suzuki Vitara models but only on their website here. Cuba CAR seems to be going through a bad patch with these Chinese cars that were rolled out for the agencies to sell. Almost all foreign agencies based in Cuba have been given these Geely vehicles to offload… Those of you who ended up receiving one of these cars gave mixed Cuba car rental reviews of these new Chinese models. Most complained about the shoddy build quality while others say they had paid for Peugeot vehicles but were given the Chinese car. 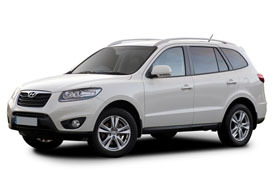 CubaCAR only provides these Chinese models to agents so again, when you Book direct with CUBACAR or visit one of their offices directly, you will not be obliged to take one of these (inferior) vehicles. Some of you who responded to these Cuba car rental reviews said that you were confused by the issues of government ownership and, how all these companies (on paper) are exactly the same. This is true as Transtur is now the sole company using and operating all these “trademarks from the past”. This can be seen clearly when booking as, all the platforms appear identical or very similar. We are told that Transtur will soon launch a website which, for the first time, will be the exclusive use of its “direct” brand since 1998. Until then the above websites provide fast confirmations we found. Our next Cuba car rental reviews will be in May so please keep sending us information and experiences between now and then. We then asked Natasha if she knew of a way of also booking the Hotel and she said that this could be done right on the same website or via Cuba Hotel Reservation which is part of the same group. We rebooked the Parque Central Hotel which our Canadian “friends” had cancelled yesterday! 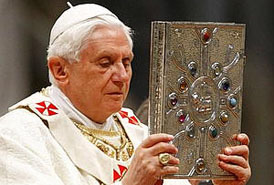 So, the moral of our story is, don´t believe the hype concerning the Pope visit to Cuba. It’s almost certainly untrue that the Pope visit to Cuba had affected our bookings in the way the other agency explained to us. Is anyone else having these problems renting a car in Cuba during the Pope visit to Cuba ? The Santa Fe isn’t as lively as some rivals, but that’s partly because it’s larger we had some Cuban friends in Holguin hop in and, the ample 7 seats managed to accommodate 8 people, one being a child of course. It handles and grips well enough, though, and feels impressively assured on Cuban backroads roads. It demands little effort around town, too, and although the ride can thud over sharper bumps, it’s generally comfortable. One of the Santa Fe’s best points is its impressive refinement which we appreciated while driving directly back from Cayo Coco at night, the headlights were very powerful and the overall noise level very low. The diesel engine is smooth and quiet, even on the rare occasions that you need to work it hard. You can hear the suspension working over sharp bumps, but there’s little road and wind noise at speed, so it’s a fine motorway cruiser. Overall we were not expecting Car Hire in Cuba to garner such a nice model and this 4 x 4 vehicle suits perfectly a cross country jaunt. Probably a trip from say Havana to Santiago de Cuba would be perfect in this type of vehicle and especially if you’re a large family or up to 7 adults. Of course we are unsure what that means as fuel is already at extortionate rates at Cuban pumps, in some places 1.40 CUC ($1.40) a liter. This being yikes!!! $5.60 gallon!! Based on the fact that Cuba gets 100000 FREE!! barrels from Venezuela per day then it sounds more like yet another squeeze on visiting tourists and Cuban Americans who typically rent cars from Rex Car Rental Cuba and, as we all know, are visiting the island in record numbers. When picked up this Chinese made car, it wasn’t met with open arms. We knew we´d be renting a car in Cuba but had no idea it would be of chinese origin. Consistent with reports on the web and even on YouTube it shows clearly how poorly their cars performed in crash tests. We are thankful we saw all this after returning from Cuba…Plus, the endless criticisms they faced for copying designs although we couldn´t fathom who´s design it had been and I am quite a car guy. But, after driving it around Cuba it wasn´t bad to be in a car like the Geely CK. The “CK” stands for “Freedom Ship” and it makes no effort to pretend that it has the quality to rival Toyota or any other Japanese manufacturer. At first glance, when we saw it at the Jose Marti Airport in Havana, it certainly gave the impression that it is a lot better built than other mainstream cars from middle country. It isn’t particularly good-looking but at least the gaps in the shut-lines are comparatively more consistent. Open the doors and suddenly the rental price, which is the same as the Hyundai Accent we rented in Havana last spring, is a little difficult to justify. Seats… The fabric are quite course and a little hard and, there aren’t even cup holders. The bits and buttons inside have noticeable free-play as well. Overall, it is very spartan but practical. But, as I have found out since returning from Cuba, at least it has a Toyota engine inside producing 94 hp at 6,000 rpm – sufficient to set the car in motion and was pretty quiet along Cuba´s “ocho via”. Try to accelerate at any rate though and its performance is negligible. Its rear seats are thick foam cushions, just tucked in nicely – not secured. In fact, you could probably replace them with your beach inflatable if you wished. It wouldn’t be difficult. I sat like an overgrown communist at a kotatsu table in a dwarf’s hut. The seat was too high, my knee constantly knocked against the steering column every time I braked and if I sat up straight the ceiling would obstruct my glances at overhead bridges. Well, the suspension flows along nicely with speed humps and its occupants barely feel the bump and in Pinar del Rio and Santiago de Cuba we saw some “crater like” holes resembling Baghdad…If you are renting a car in Cuba then you should be aware that the roads are sometimes pretty bad. 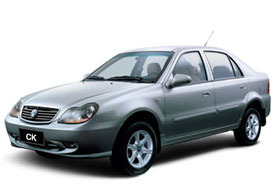 Overall through, if you are renting a car in Cuba it is more than likely you´ll be getting one of these Geely CK models although while on our travels we also saw one called the Geely MK and then a larger one called the Emgrand. It was easy renting a car in Cuba and we used the Havanautos official website to book, the price p/day was 42 CAD after conversion from Euros so, not bad at all. After paying online and providing our license copy in advance we were sent a voucher. We printed this and took it to Cuba. Once we arrived at the Havanautos office at the Havana airport and showed our voucher we were pretty much all set. The formalities of completing the contract were made easier apparently due to us having sent our license in advance. They´d prefilled almost everything which we found pretty slick. 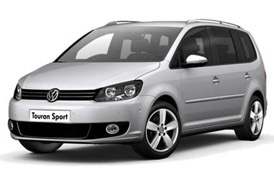 We highly recommend booking with the Havanautos website and the service was excellent. We just hope they bring back the Hyundai Accents for our next trip. Well…I guess the Geely CK wasn’t that bad.